This is a late edition because I'm off work today! Yay for long weekends. 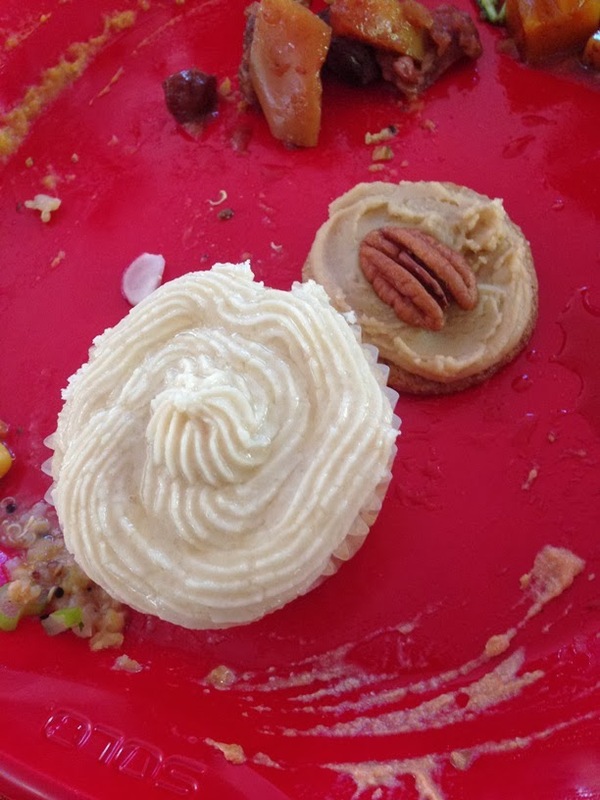 This week was spectacular for one reason: vegan Thanksgiving potluck! 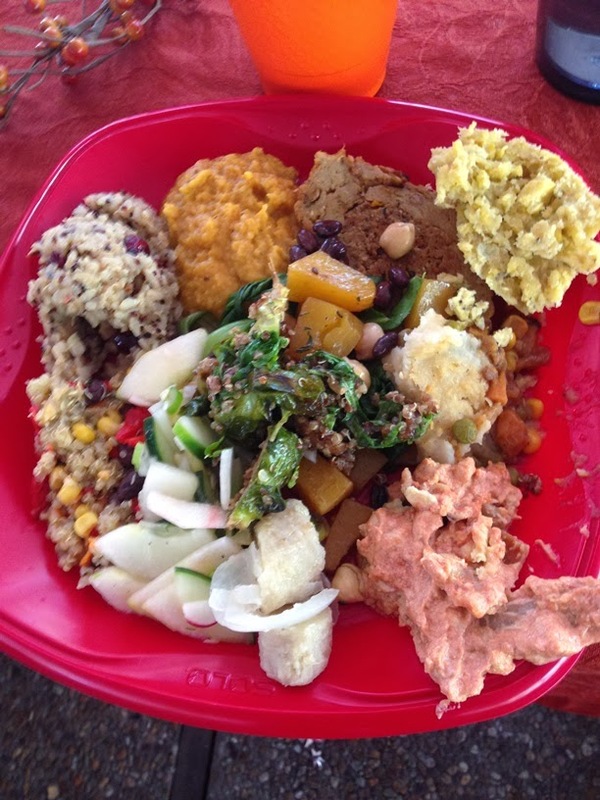 This past Saturday the Animal Rights Foundation of Florida and the Vegetarians of Central Florida held a potluck at a local park. They provided the vegan roasts, and all dishes had to be vegan. 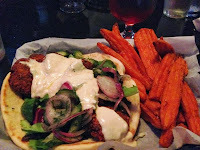 It was so amazing to be able to eat a little bit of everything without having to ask what was in the food! 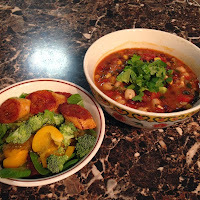 Quick black bean soup: can of beans, can of hominy, salsa, broth & diced tomatoes. Garnished with cilantro & scallions. Side salad with raw broccoli, peppers, and roasted plantains. 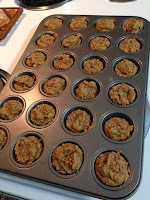 My potluck contribution: peanut butter blondie muffins from Ambitious Kitchen (minus the chocolate chips). I love sneaking lentils in to baked goods! Potluck main plate: celebration roast, brown rice stuffing, sweet potatoes, plantain casserole, vegan lasagna, brussels sprouts, cucumber salad, quinoa salad and probably more I'm forgetting! Some of the desserts I sampled. The best I had was a small acorn shaped pumpkin cake that was too tasty to photograph! 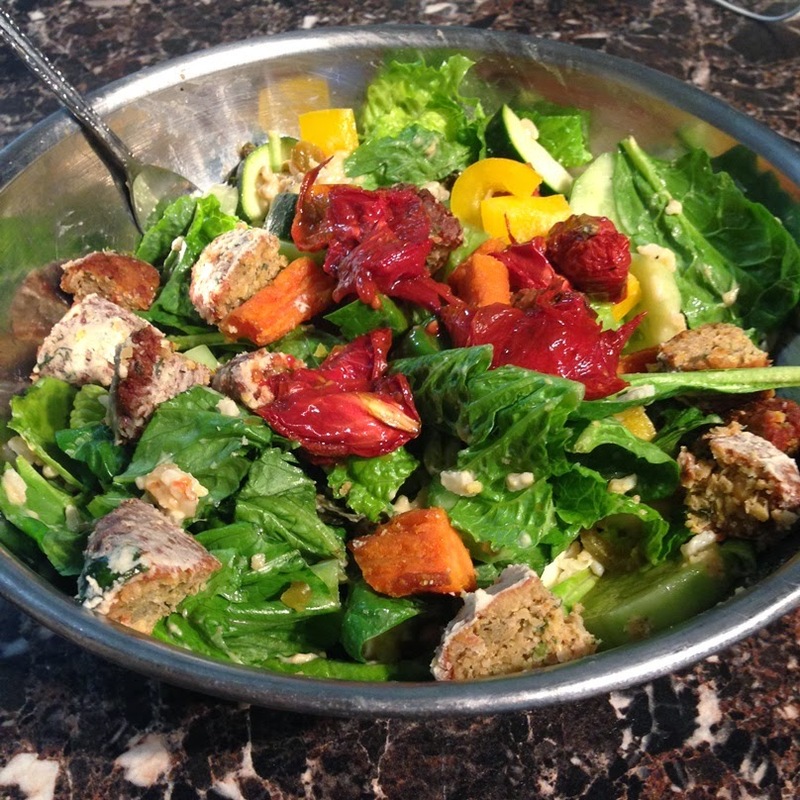 Falafel repurposed into a lunch salad, better this way! 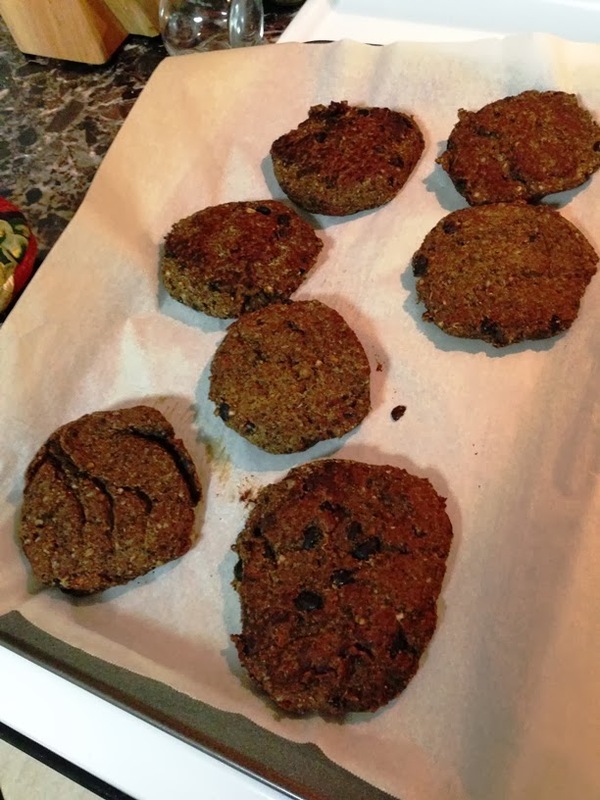 Not the best photo, a batch of hoisin black bean burgers - highly recommend this recipe! 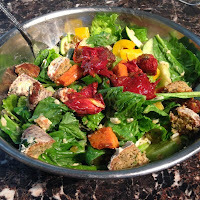 FYI - we used toasted buckwheat instead of quinoa and baked them at 375 after searing on each side. 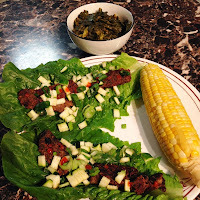 The black bean burgers served - lettuce wraps with diced zucchini, scallions & cilantro. Yes, that's local corn in November (yay Florida!). Plus a side of spicy collard greens. 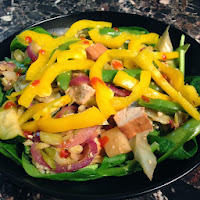 Sweet and sour tofu with zucchini, peppers, onions, green cabbage & snap peas. 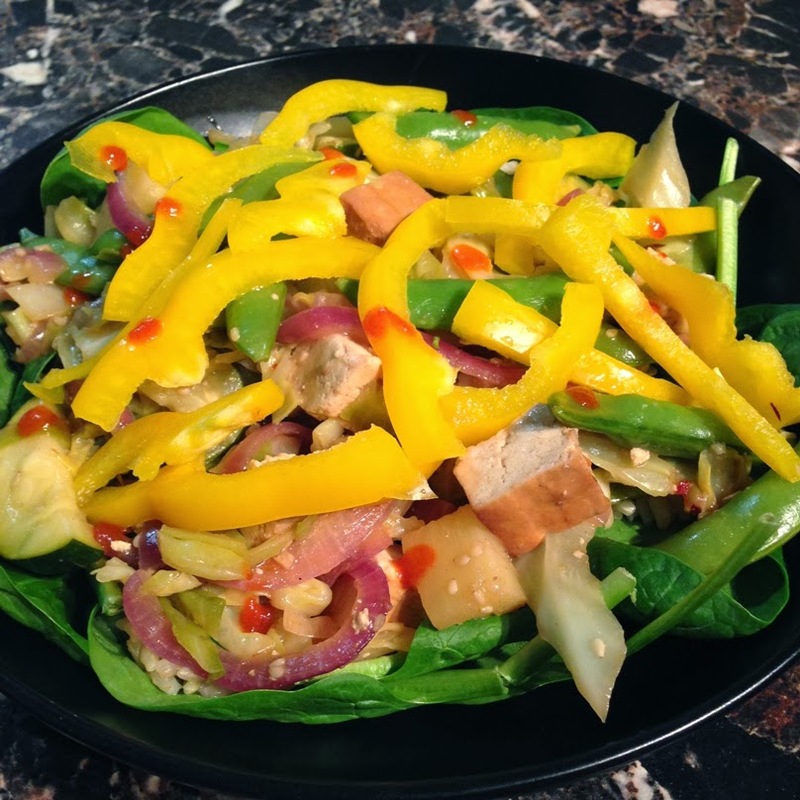 Served on brown rice and a bed of baby spinach.